Philadelphia Neighborhoods on TV, the television program from Temple’s Multimedia Urban Reporting Lab and companion to philadelphianeighborhoods.com, returns to TUTV with a look at all parts of the city. 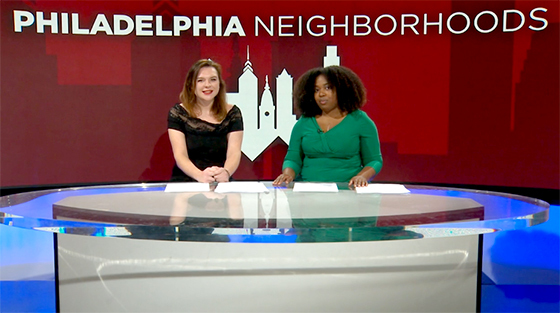 Hosts Holly Martin and Asia Lambert present reports looking at how e-cigarettes are effecting youth in Philadelphia, how green space affects mental health especially in low income neighborhoods and how the opioid crisis combined with entrenched poverty is exacerbating homelessness, which has increased by 10% since 2017. Later, take a look inside the “Hermit’s Cave” in Wissahickon Valley Park, which has a storied past. Then, hear from Branden Pizarro who became a professional boxing champion while still in high school, and now owns a boxing gym with his father, which trains young local children to box. Tune in to TUTV this Wednesday, February 6 at 1 and 9 p.m. for all this and more.